These were produced in limited form, namey 80 units. They were IMSA styled, but not to be confused with the 1992 Turbo S2. They are distinguishable by the spoiler and the 959-esque intake holes. It was NOT US Legal. The price tag was a healthy $180,000. They carried the 3.3L engine with 322Hp. 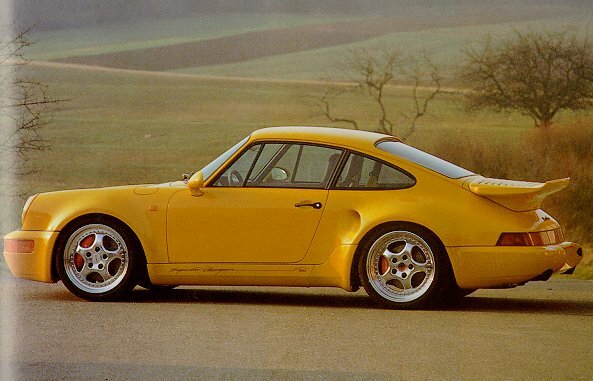 It was about 400lbs lighter than the standard 911 Turbo. This car is also where the "big-red" brake calipers originated, to go on to be used on cars like the 968 Turbo, and regular 911 Turbo.